A TopoMetrix Aurora-2 NSOM was used for our experiments. A schematic of the NSOM system is shown in Figure 12.3. The fiber-optic probe (aperture size ~60-100 nm) attached to a piezoelectric tuning fork was mounted on the removable Aurora-2 microscope head and positioned above the sample. 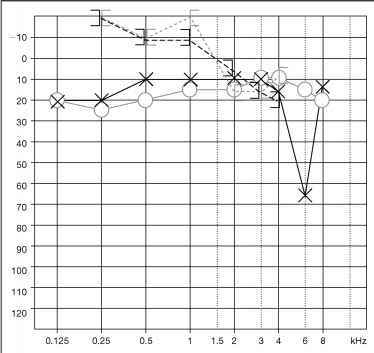 A resonating frequency ranging between 90 and 100 kHz was selected with less than 1 nm lateral amplitude at the probe end. Samples were mounted directly beneath the tip on a X-Y piezo scanner that is used to scan the sample under near-field. The 488 nm line of the argon-ion laser was used as an excitation source for Alexa Fluor 488 immunolabeled Pgp and MRP1 proteins and the MDR inhibitor drug, verapamil, whereas a 532 nm laser was used to excite doxorubicin and TMRE drugs. The fluorescence-emitted light was collected by the transmission mode through a 40x, 0.65NA objective, and a band-pass filter (520LP10: for Alexa Fluor 488 and verapamil; 580LP10: for doxorubicin and TMRE), obtained from Omega Optical. The fluorescence signal was then detected by a photomultiplier tube (PMT) and analyzed with commercial software (SPMLab). 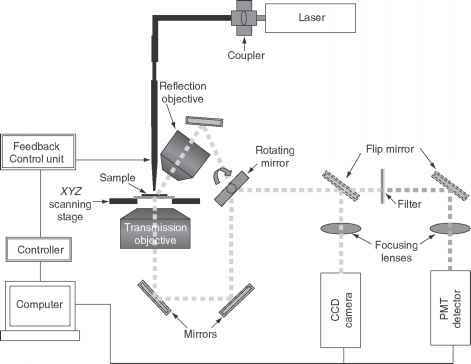 FIGURE 12.3 Schematic diagram of a near-field scanning optical microscope. The sample is mounted on a scanning stage, which is controlled by a XYZ-piezo scanner. The NSOM optical fiber probe is mounted on the removable Aurora-2 microscope head and positioned above the sample. A constant probe-sample distance is maintained at less than 10 nm using an electronic feedback system. The fluorescence is collected by a microscope objective through a filter set and imaged onto a PMT detector.